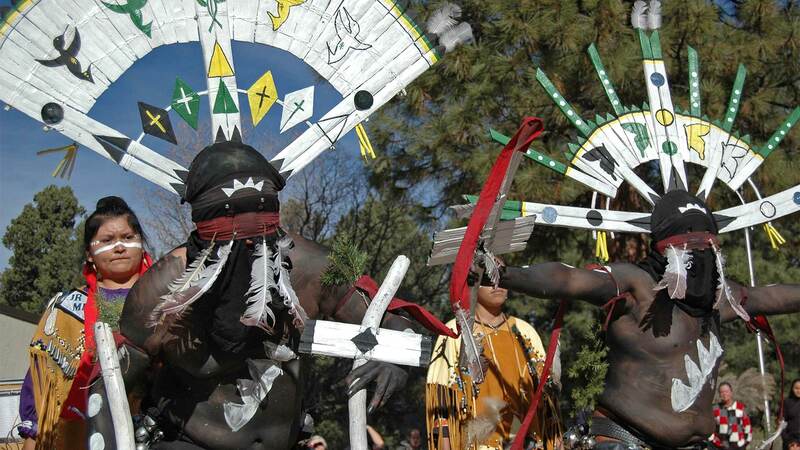 October 31, 2017 / Modified oct 31, 2017 3:40 p.m.
Dishchii' Bikoh' Apache Group from Cibecue, Arizona, demonstrates the Apache Crown Dance at Grand Canyon National Park. Available on AZ PBS LearningMedia, a Native American Heritage Collection. Take a fascinating look at Native American art, history, and culture as told through the historians, artists, students, and scientists in this featured resource collection.